Our Community – Identity, Inc.
Our community is home to a growing number of Latino youth and families. Their future is our future. 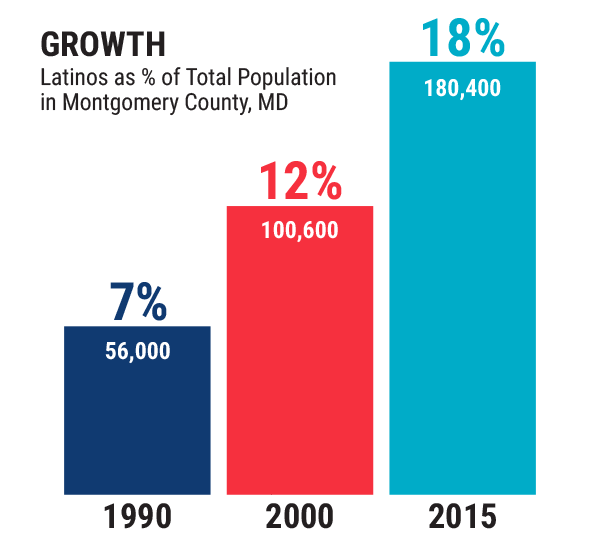 There are more than 180,000 Latinos residing in Montgomery County, Maryland — nearly 18% of the total population — and approximately one-third of those Latino residents are under the age of 18 (2015 American Community Survey, U.S. Census). Latino youth have surpassed or are quickly approaching 40% of the school population in many of the county’s public schools. The majority of these youth are either immigrants themselves or the children of immigrants. In many instances, the youth and families we serve fled their homelands due to civil wars, violence, political instability, or economic crisis. Because of these dire circumstances, many Latino youth in our community have experienced family separation. Mothers and fathers are often forced to immigrate to the U.S. without their children, who follow years later. These immigrant youth, together with those born in the U.S., often face serious challenges, including poverty, unemployment, inadequate health care, and lack of parental supervision. All too often, these difficult life circumstances lead to poor academic achievement, truancy, dropping out, and teen pregnancy — situations that severely limit young people’s options and opportunities. At the same time, our Latino youth bring many strengths: love of family, pride in their culture, an eagerness to succeed, and an impressive resilience to forge ahead in spite of the hardships they bear. 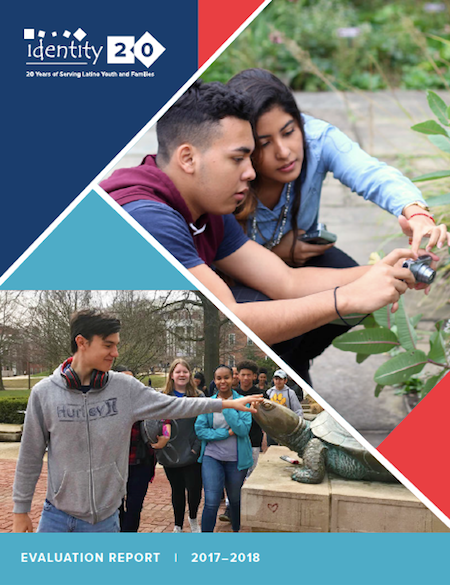 Identity addresses challenges by building on such strengths, and emphasizing learning strategies that focus on the wellbeing of youth and families in all aspects of their lives. Visit the Who We Serve page for more details about the youth and parents served by Identity programs.